This is a fantastic price for 2100 Points but if you purchase 2 of these you are effectively getting 4200 Points for only £26.94 which seems like an absolute steal. This works out at almost £10 off what some online and high-street stores are selling 4200 Xbox Live Points for. 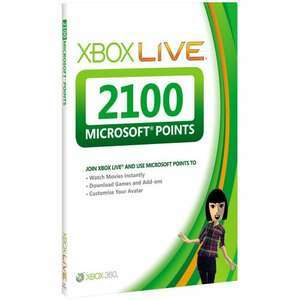 These Xbox Live Points can be used to purchase Arcade Games, Game Add-Ons, Online Movies and to Customise your Avatar. 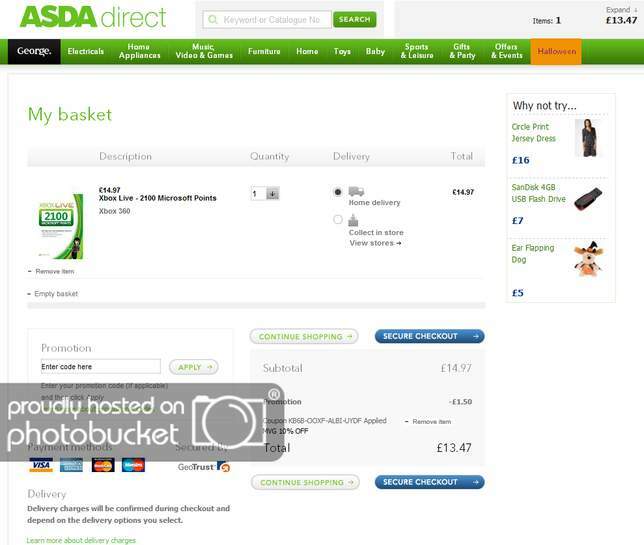 Free to collect from store which may take up to a week, or delivered FREE which will take 3-5 working days. Ive had so many orders cancelled by these jokers that I just can't be arsed to even look, bunch of incompetent liars IMHO (i.e. "we can no longer get stock of Dirt2" when I ordered online at £9.99 yet they had it our local branch, "ahh but thats different"!! ).